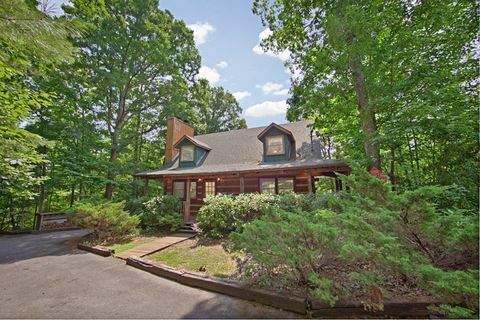 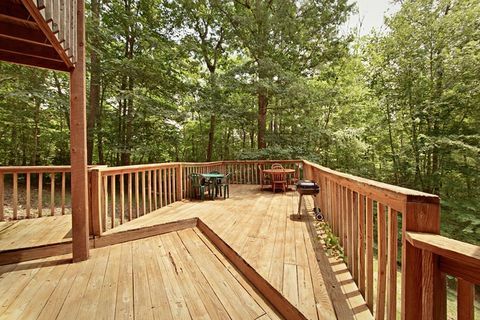 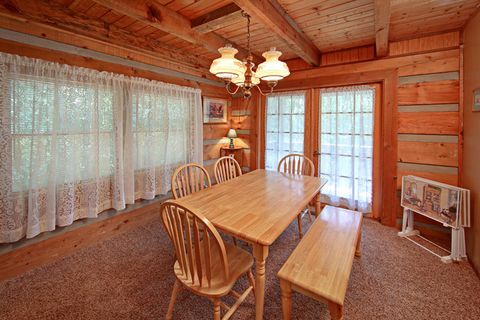 "Amazing Majestic Oaks," a pet friendly cabin rental in Mountain Park Resort in Pigeon Forge TN, gives guests a beautiful private 3-bedroom cabin rests on a cul-de-sac surrounded in a wooded setting! 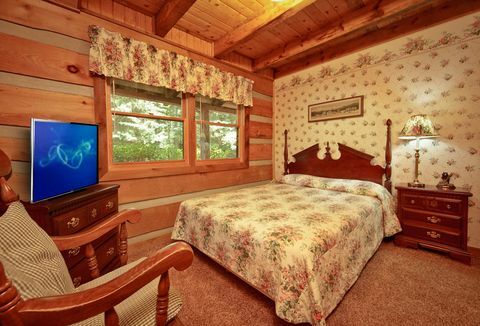 Featuring a king size bed, 2 queen size beds, 2 sets of twin bunk beds and a sleeper sofa in the living room, this pet friendly cabin in Pigeon Forge boasts plenty of space to sleep up to 12 guests. 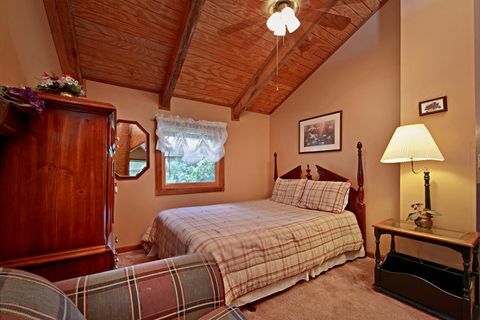 When looking for pet friendly cabin rentals in Pigeon Forge, it's essential to find a cabin with easy access to an exercise area for your pet. This cabin has both a flat front yard and a very large back deck perfect for giving your pet that much needed exercise space. 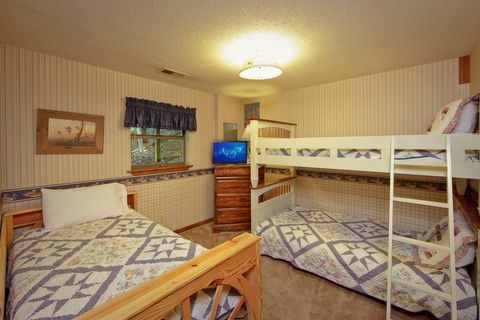 "Amazing Majestic Oaks" offers visitors free WiFi Internet, all new leather seating, 2 fireplaces, and a fully equipped kitchen. 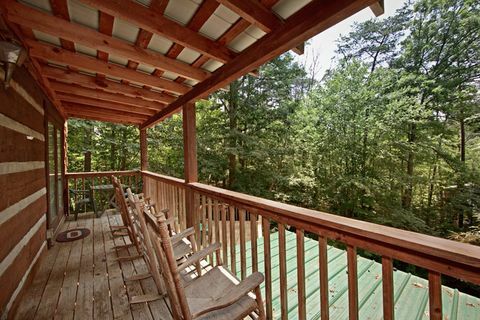 Use your cabin's very large deck, picnic table, and gas grill for memorable, private Smoky Mountain family picnics. 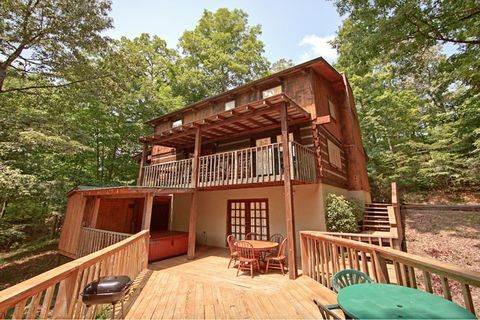 When it's time to cool off, cabin guests are invited to use the beautiful outdoor resort swimming pool during their stay. 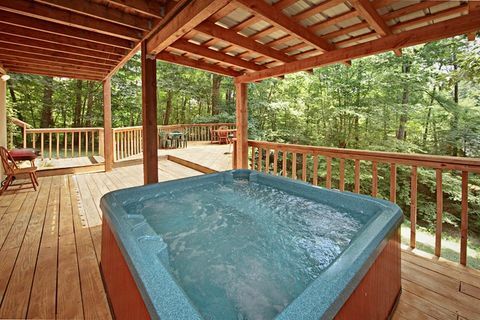 Throughout the year, enjoy a relaxing dip in the large covered hot tub. 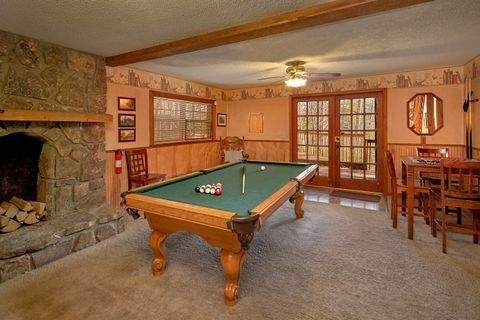 You'll find more entertainment indoors where family members can enjoy games of pool, play their hand at the game table, or watch varied shows on one of the several televisions throughout the cabin rental. 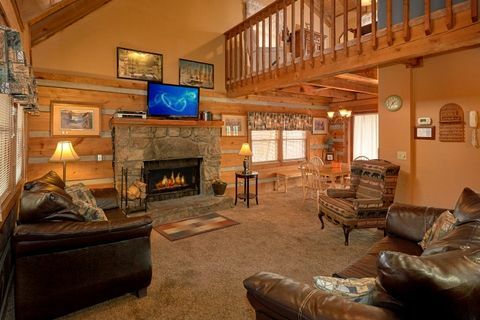 Located in Mountain Park Resort, "Amazing Majestic Oaks" gives guests a pet friendly cabin in Pigeon Forge less than a mile off the Pigeon Forge Parkway where you and the family will discover dozens of attractions, shopping, and restaurants! 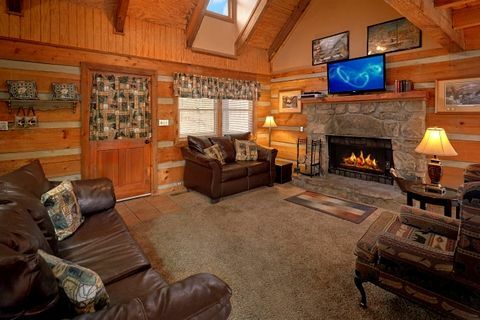 "Amazing Majestic Oaks," a spacious pet friendly cabin in Pigeon Forge, is the first step to a truly unforgettable Smoky Mountain vacation for the entire family, including the four-legged members. 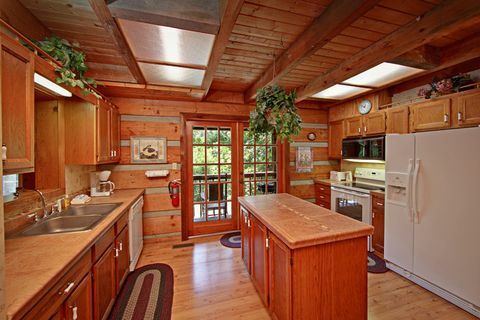 Book your pet friendly Tennessee cabins ONLINE with Cabins USA Gatlinburg and get immediate SAVINGS!